A common tailgating side dish gets a healthy makeover this season using a flavorful beet juice vinaigrette! 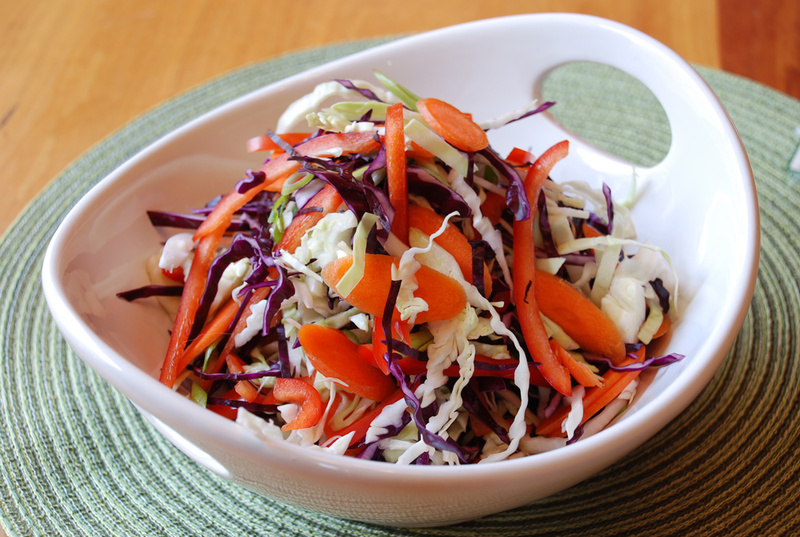 Colorful and brimming with goodness, this slaw will make a tasty addition to any tailgating party or backyard BBQ this Fall! Prepare all coleslaw vegetables as directed. Toss together in a large bowl. To prepare the vinaigrette, add BIOTTA BEET JUICE, balsamic vinegar, Dijon mustard, lime juice and shallot to a small bowl. Whisk together. Drizzle in olive oil while continuing to whisk. Season with salt and pepper. Drizzle desired amount of vinaigrette over coleslaw. Serve immediately. Refrigerate and save any remaining vinaigrette for use on any vegetable salad. NOTE – for a soft, rich beet juice flavor, reduce 1 cup beet juice over medium heat for about 30 minutes, until you achieve 1/4 cup in volume. Set aside to cool before using. Somehow, the words healthy and tailgating don’t really seem to fit together, but yet, Flamous Brands has made this a reality! Offering families everywhere a scrumptious yet healthy option on game day, the unique 21 ingredient blend of herbs, spices, vegetables and legumes are so tasty, no one will suspect they are indeed good for you! 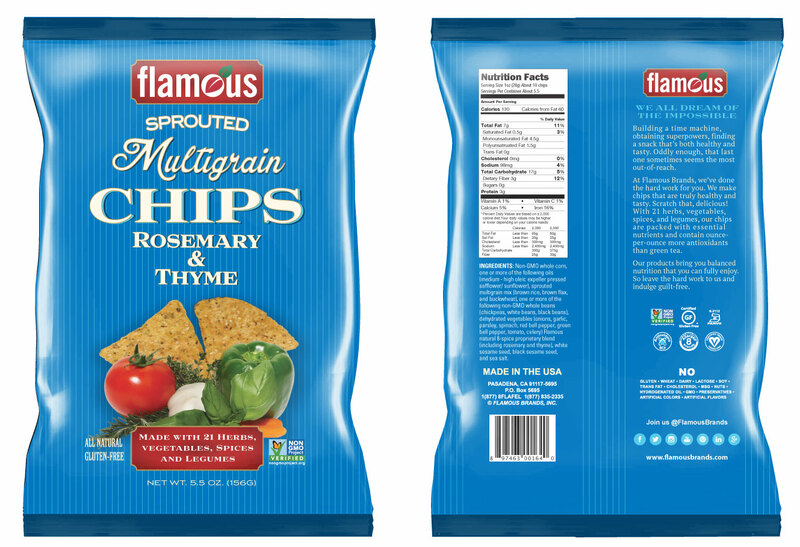 This is one chip that “Mom” loves indulging in, and the fact that all Flamous Brand Chips are non-GMO, vegan, gluten-free kosher, as well as fee of most allergens only makes them all the attractive as a healthy snack option. Plus, ounce for ounce, Flamous Falafel Chips have 10 times the antioxidant value than that of green tea or vegetable juice. With several unique varieties to taste test, “Mom” tried the Sprouted Multigrain Chips, Original Falafel Chips, Spicy Fiesta Chips and Spicy Falafel Chips. The family favorite was definitely the Spicy Fiesta flavor, with the Spicy Falafel flavor coming in a close second. On game day, serve these as your ‘go-to’ chip, knowing you are providing a healthy snack for all! 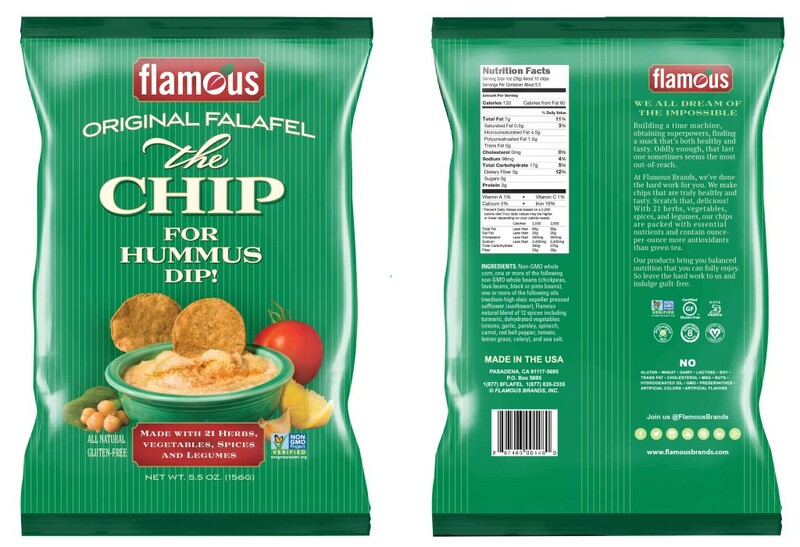 Flamous Original Falafel Chips are available at Mother’s Market, Kroger, The Fresh Market, Whole Foods, Amazon.com and other health food stores throughout the United States. You can also learn more about the brand on their website, www.flamousbrands.com. 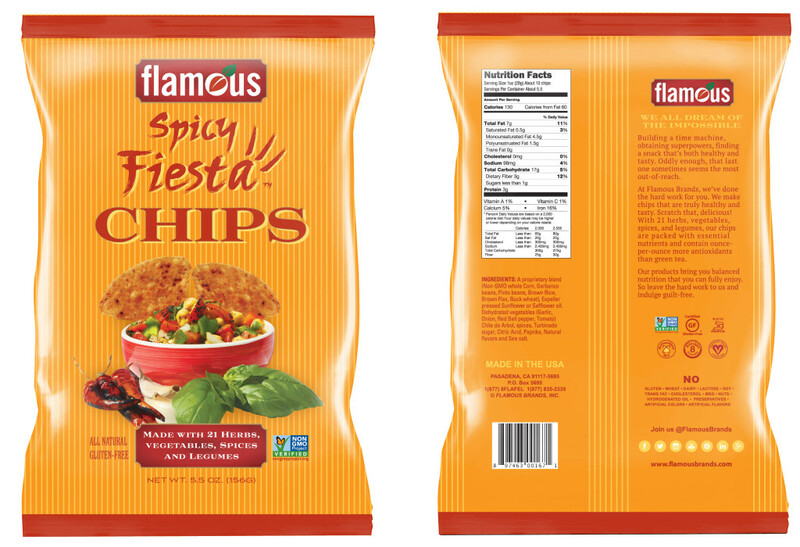 Flamous (which stands for famous for flavor) is a Los Angeles based company born in 2007. 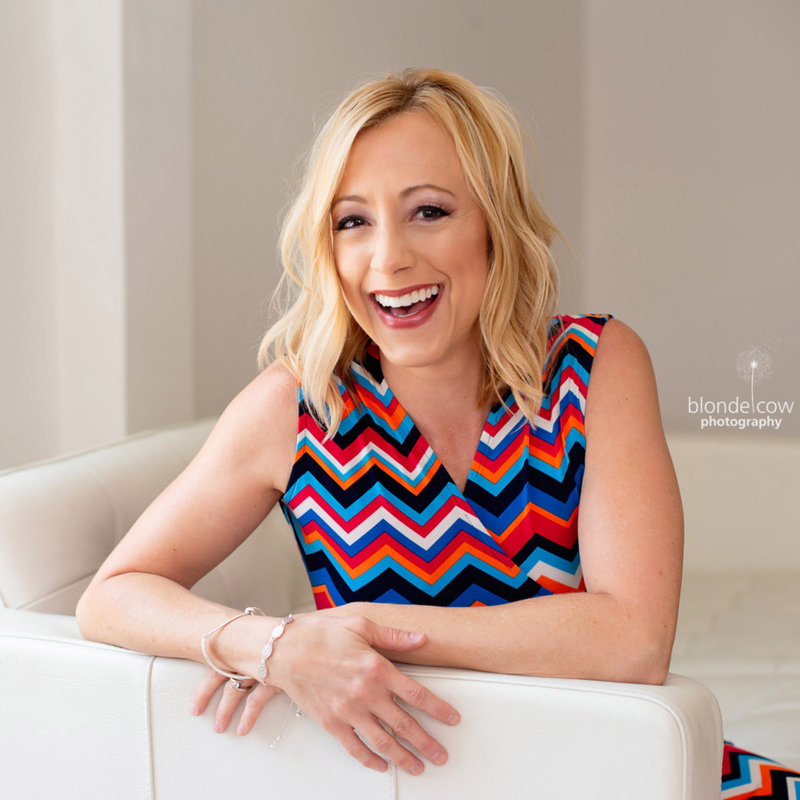 Family owned and operated, the founders sought to create a snack that was not only delicious but that they would be proud to offer to their own friends and kids. 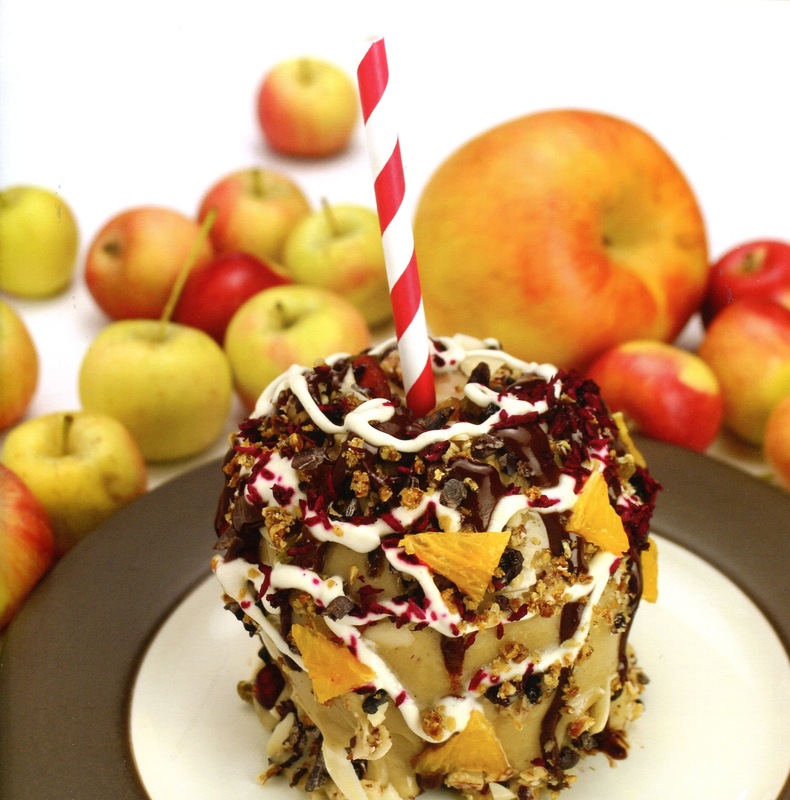 Their goal is to continue to grow in their industry – to be an internationally recognized brand that continues to develop innovative healthy options and exciting new flavors and concepts for the world to enjoy. Tailgating season is upon us, and those who want to entertain but serve up some healthier fare will love this Edamame Dip! 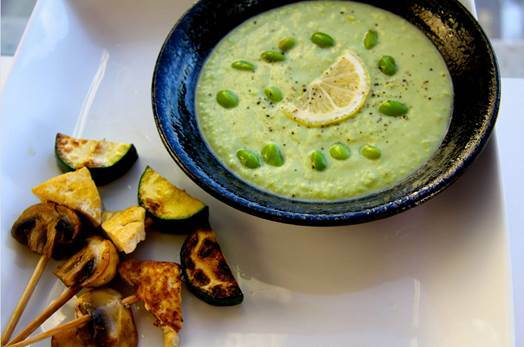 “Mom” is a big fan of edamame, whether eaten raw or put in a favorite dish, and this dip is a definite winner! It is easy to pack along for the big game or it can be served alongside nutritious veggies right on the coffee table! Optional: Skewer your favorite veggies and grill them with some olive oil basted on it. Season with salt and pepper. 1. Use a blender and blend everything together. You may need to add more water or oil to make it less thick if you like it more saucy. Season with salt and pepper when done to get the right flavor. 2. Serve with veggies and dig in! There is nothing Mom loves more than pumpkin-flavored anything as it turns to Fall! This lovely roasted pumpkin soup is no exception – with fresh pumpkin, sage, onions, and more – it is a delight to the senses both as it cooks and when you enjoy your first spoonful! 2. In a large bowl, toss the pumpkin chunks, sage leave, grape seed oil, and 5-finger pinches of salt and ground black pepper together until evenly coated. 3. Transfer to a baking sheet and roast for 20-25 minutes, until tender and edges have browned. 4. In a large pot, melt the butter over medium heat. When the butter begins to bubble, add the chopped onion along with 5-finger pinches of salt and ground black pepper. Cook for 13-15 minutes, stirring often, until caramelized and golden brown. Stir in the garlic and cook for 30 seconds, until fragrant. Add the chicken stock and bring to a simmer until pumpkin is done roasting. 5. Add the roasted pumpkin chunks and half of the sage leaves to the simmering pot along with the half & half (reserve the other half of the sage leaves for garnish). Transfer to a blender and puree until smooth. Transfer back to the pot to keep warm. 6. In a small food processor, pulse the olive oil and basil leaves until thoroughly blended. 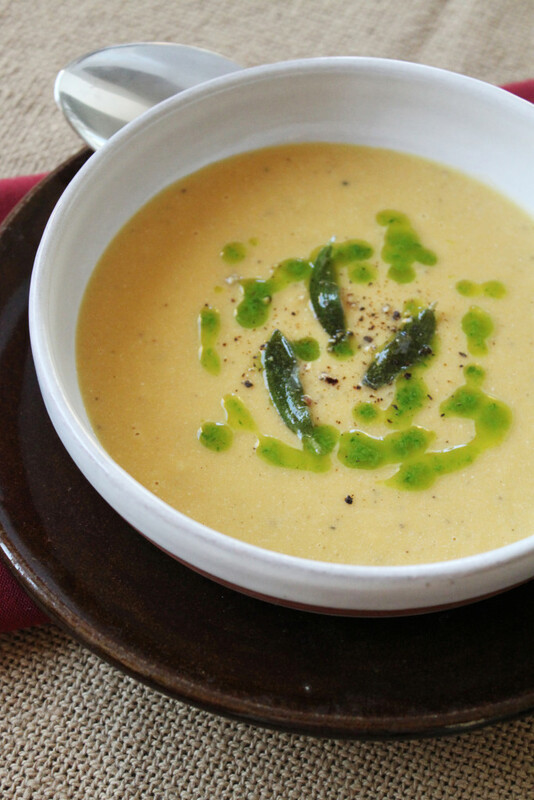 Serve the pumpkin soup with the basil oil and crispy sage leaves. Enjoy!